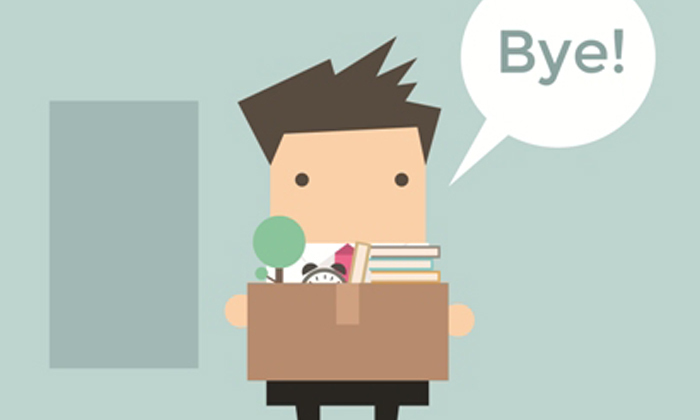 A new report by OfficeTeam brought new meaning to the term “quit while you’re ahead,” with respondents sharing the most unusual employee exits that they have witnessed. – Writing ‘I quit’ on a brick and throwing it through the window. – Getting a marching band to accompany the announcement. – Baking a cake with their resignation letter written on top. – Sending an email blast to everyone in the company. – Bragging to everyone that it was their last day, but failing to inform their boss or HR manager. – Throwing a cup of coffee and walking out of the job. – Resigning via sticky note. – An employee went to the bathroom and never came back. – One packed up and left without saying a word. – One never returned from lunch. – One stormed out in the middle of a meeting. – An employee set out to buy new boots and was never seen again. – Quitting via a text message to the boss. – Resigning via a message to the company website. – Quitting on a video conference call. – A music video to explain that she was leaving. – One had their wife call in saying that he was not going back. – Another worker sent a text to a colleague, asking it to be forwarded to the management. – Even parents got involved, with one employee’s parents calling in to say that their son would be resigning. In light of these experiences, 86% of HR managers said that how an employee quits will affect their career opportunities in the future. “How you quit a position can leave a lasting impression, so make sure to exit on the best terms possible,” said Robert Hosking, executive director of OfficeTeam. Need some guidance to help you lead the way? These soundbites should remind you to keep developing yourself, as well as others. ..
Police are looking into whether senior officials paid bribes to junior colleagues as the department struggles to recruit 400 offic..